London: Wikileaks co-founder Julian Assange has been arrested at the Ecuadorian embassy in London on Thursday (April 11) morning. 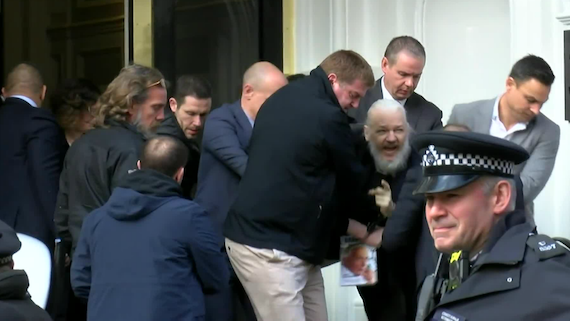 Julian Assange has been dragged out of the Ecuadorian Embassy in London where he has spent the last six years. This happens after Ecuador’s president Lenin Moreno withdrew Julian Assange’s asylum.